Blagden Alley-Naylor Court Historic District | Transportation & Location: Blagden Alley-Naylor Court is located in Shaw and is bounded by O and M Streets NW to the north and south and by 9th and 10th Streets NW to the east and west. The nearest Metro is Mt Vernon Sq Station on the Green and Yellow Lines. The nearest grocery stores are the Giant at 1400 7th St NW and the Whole Foods Market at 1440 P St NW. Shaw is an exceptionally vibrant neighborhood which features plenty of options for food, drink, and live music. 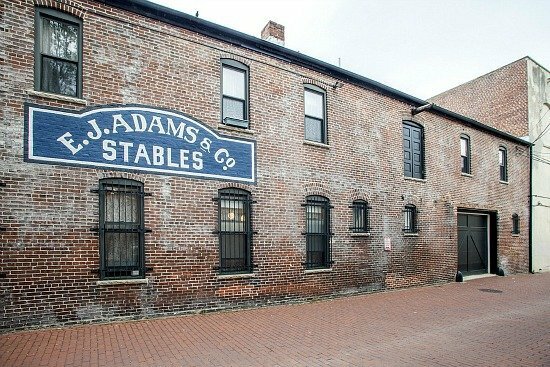 Blagden Alley-Naylor Court Historic District | Significance: Named after prominent landowners of the day, Blagden Alley and Naylor Court suggest a semblance of 19th-Century DC living. The area features two of DC's few original alleys, which promoted a wider range of class among residents. While some lived in elegant townhouses, others lived in poorly constructed alley dwellings. One notable townhouse resident was Blanche K. Bruce, America's first African-American US Senator. **Huge Price Adjustment ** 2 Unit w/ 2 Bd 2 FB 1 HB each. Both Units Boast Lovely Hardwood Floors, Stainless Steel Appliances, Front Load Washer/Dryer Units, Recessed Lights, However Best of All You are steps away from The Blagden Alley Business District of Coffee Shops, Restaurants, Bars, The Convention Center and Metro.